An old sheet or similar object to protect your floor. Always check the manufacturers instructions before starting. Carefully examine your borders for proper colour, pattern numbers and consistent run or lot numbers. Allow for fresh paint to cure before applying the border. For professional results it is important to prepare the surfaces to be decorated. Ensure surfaces to be decorated are clean and dry. It is important the surface is clean, smooth, dry and free from dust or dirt. Loose plaster or paintwork should be brushed off first to attain good adhesion. Borders stick best to surfaces cleaned with sugar soap. Rinse the wall of the sugar soap. High gloss and semi-gloss paint finishes should be sanded in order for adhesive to grip. (80 grit sand paper). A coating of wall size should be used. This will assist in the easy removal for borders and wallpapers when redecorating. 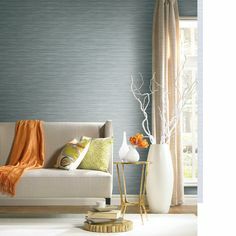 If applying borders over new wallcoverings, make sure the wallcovering is completely dry. If applying over vinyl wallcovering, you must use water based vinyl-to-vinyl border adhesive after immersing in water. If you have no edge to work to, use a level and draw a pencil line as a guide for the bottom of the border. 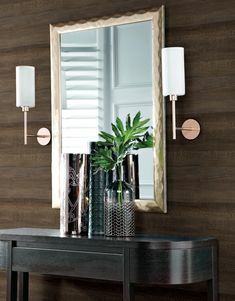 Measure the length of border you wish to adhere for each repeat of the process and pre-cut a sufficient number of these lengths to complete the room. If two people are on the job longer lengths can be applied and the number of joins is therefore reduced. When working out where joins will appear it is better to go around internal and external corners where possible. Re-roll the border with the pattern side in. Immerse the border in lukewarm water by dragging it under the wire in the trough. Any section should be in the water for no more than 30 seconds. Unroll border as you remove it from the water making sure every part of the paste is wet. Loosely fold with the pasted sides together in a concertina style for easy handling. If it is necessary to apply additional border adhesive it is done at this stage. Check the manufacturers instructions for curing times and to ensure the correct adhesive is being used. After applying additional border adhesive refold pasted sides together. Unfold and apply following the level line. 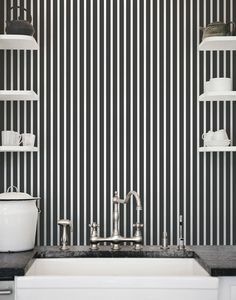 Wallpaper borders have “slip”, so you can gently slide it into position. Smooth border and wall surface with a damp sponge. Wipe away the excess paste and water as you go. When a second or further roll of border is being adhered, over lap a small section of border with the one already on the wall to achieve pattern matching. Finish applying the remaining of the concertina border as described above and then complete the join as follows. Place a ruler or straight edge so that is runs vertically on a section where the border overlaps. With a sharp cutter knife, cut along the rule, applying enough pressure to cut through both strips. Remove the excess paper on top and underneath. Remove any excess paper using a sharp cutter knife being careful not to tear any border that is damp with water and paste. To mitre corners: overlap strips, one on top of the other. Place a ruler or straight edge so that it runs from the inside corner to the outside corner. With a sharp cutter knife, cut along the rule, applying enough pressure to cut through both strips. Remove the excess paper on top and underneath. These require from 3 weeks to 3 months to cure depending on the paint type and weather conditions. If the paint has not cured sufficiently, adhesion of the border may not occur. Some modern formulated, non stick paint surfaces with additives such as Teflon, will need to be sized for the adhesive to work effectively. Waiting for the paint to cure is a MUST for these types of paints.